With the win, Concordia jumps eight points ahead of second place but there is far more to be taken away from the night’s memorable clash. As fans warmed up to the gym to not only watch but also celebrate Lengvari—who graduated from and played basketball at both universities and who now contributes to McGill athletics by offering scholarships and awards to notable student athletes—both teams toggled back and forth in the opening frame, which ended 22-15 in favour of Maroon and Gold. Despite the low scoring affair, the teams continued to trade blows until the 4:28 min mark of the second quarter, with the score tied at 26, when the Stingers ended the half on a 7-0 run. It seemed clear at this point that Concordia would easily neutralize McGill, who battled hard all game but struggled to find any type of rhythm offensively without their star Alex Paquin, who leads the team with 19.8 points per game and 33 minutes per game. The Stingers led most of the way with key contributions from Ricardo Monge, scoring 12 points and 7 assists, Sami Ghandour who dialed in 13 points, and sharp shooter Adrian Armstrong, scoring a team high 19 points. Though Armstrong’s Stephen Curry-esque three-pointers entertained the home crowd, head coach Rastko Popovic let it be known his team lacked consistency on both ends of the floor. Outscoring McGill 21-14 in the third quarter with a 57-43 lead entering the fourth, few coaches would be complacent, as basketball is a game of runs. Coach Popovic made it clear that being first is good, but it doesn’t mean unbeatable. Undoubtedly, without the services of their elite guard Alex Paquin, whom coach Rastko Popovic described as “a player who can make things happen” with his ball handling abilities, McGill is weaker, but nonetheless they put up a good fight. Down eight points with 6:59 left in the game, McGill mounted a comeback. With the score sitting at 59-51, Concordia forward Olivier Simon was fouled and sent to the line, where he went 1/2. After a missed layup by McGill’s top scorer Sam Jenkins, Adrian Armstrong torched McGill, knocking down his fourth and last three-pointer of the night. The Stingers solidified the win after that sequence but Popovic believes his side left the window open for the opponents late surge. After the game, Armstrong admitted his late three and his additional jumper, which propelled his side to a seventh consecutive win and the opportunity to hoist the Lengvari Cup in front of a full house, are moments he yearns for. He credited assistant coach Damian Buckley for all the work they put in together. 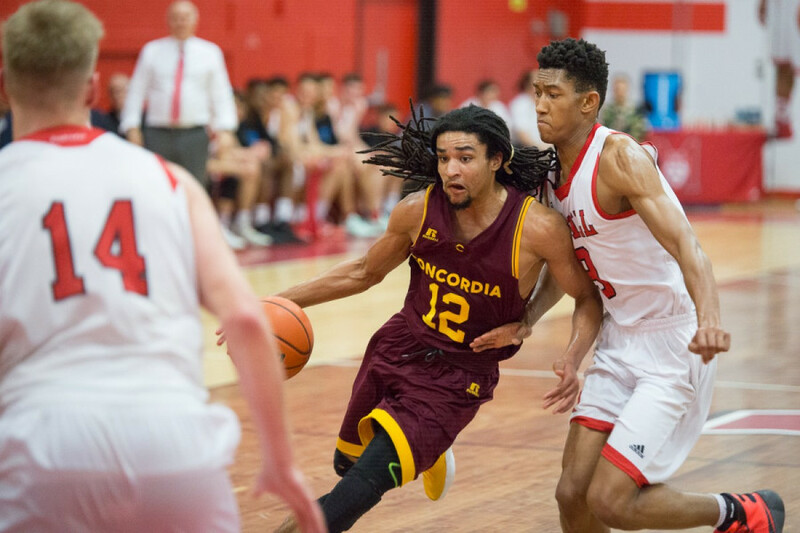 Concordia has now owned the heated rivalry between the two teams beating McGill three straight times and will look to sweep the season series on Feb. 14 at home. Ranked ninth overall in the country, the Stingers show no sign of slowing down any time soon, but the little details going forward will determine how hot they stay.